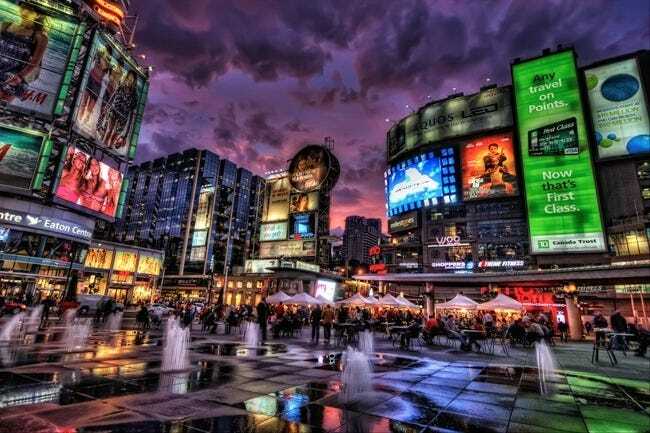 You might have heard the enigmatic acronym “HDR” in reference to photography, or even seen it as a feature on your smartphone. It stands for “High Dynamic Range”, and it creates photos with gorgeous, impossible detail and clarity–though it can also help you avoid silhouettes and other issues in normal photos. What Is HDR and Why Would I Need It? 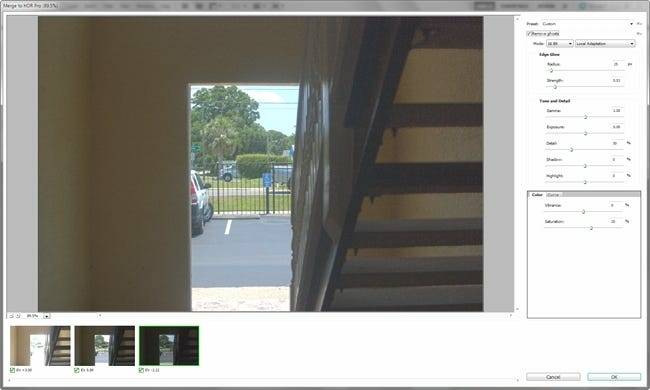 Cameras are limited to the amount of image detail they can record when the sensor is exposed to light. Whether you’re using the auto settings or are taking pics using skillfully tuned manual settings, your goal is trying to take advantage of the available light to maximize the detail in the result image. The problem is, when you’re shooting heavy shadows and bright lights, you are forced into losing detail in one range or the other. A skilled photographer can tune her elements of exposure to achieve great detail in shadows or highlights, or choose the middle of the road, “proper” exposure solution, and lose some detail in both. Lots of detail in the highlight areas will turn everything else to a solid, dark black (top left below). Focusing on the detail in the darker areas will wash out the highlight areas (bottom right below). Most people probably choose something in the middle to get a decent looking picture, but it still isn’t ideal. Using this sort of “normal” exposure, where a photographer has to make these sorts of tough decisions, is sometimes called “Standard” or “Low” Dynamic Range imaging. HDR solves this problem by taking multiple photos with different exposures, then combining them so you get the best of all possible worlds: details in the shadows and details in the highlights. You can either do this manually, by taking multiple pictures and using photo editing software to create your image, or with your smartphone. Most modern smartphones have HDR features built in, which will take three photos in quick succession and combine them into one HDR photo. 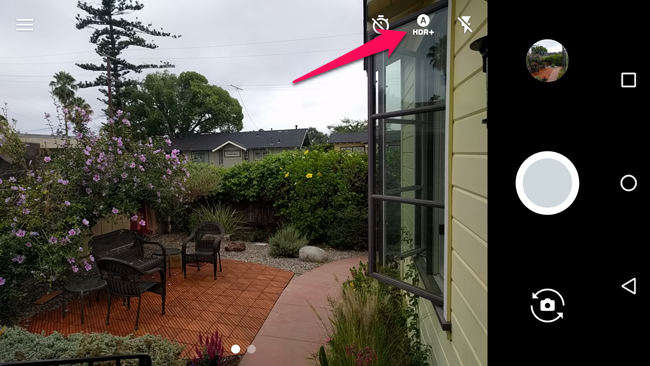 Check your camera app for an “HDR” button and try it out. It can save a lot of photos that would otherwise appear washed out in certain areas (like in the photo below). Some digital cameras may have a similar option. Other ones, however–especially older ones–may not, in which case things are a bit more complicated. Stepping around the problems of typical standard range photography, we can think of HDR Imaging as techniques that combine the image information from multiple exposures into one image with detail beyond the limitations of single exposures. Resourceful photographers know to use image bracketing when photographing a scene, or stopping up or stopping down the exposure in order to increase the chances of finding that proper “goldilocks” level of exposure. Even though your light meter or auto setting might say that the proper exposure has been selected, taking the same composition multiple times with multiple aperture or shutter speed settings will greatly boost your chances of getting that “best” image out of your shot. The basic idea of creating a combination image with multiple exposures is not new to photography. As long as cameras have had the limitation of standard ranges, clever photographers have been hacking ways to create the best possible image. 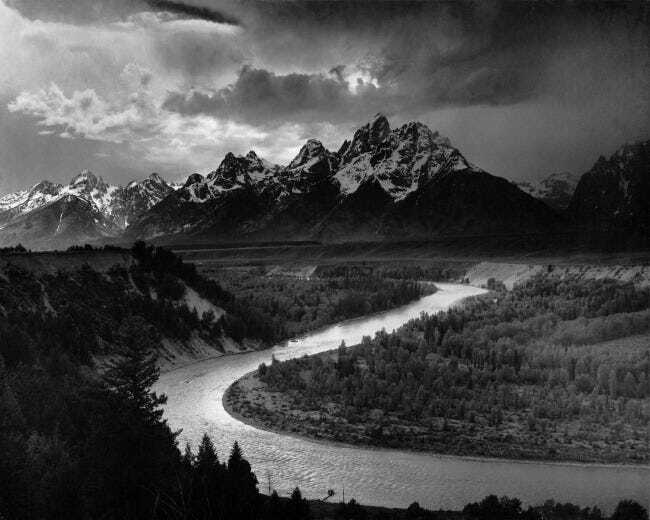 Brilliant photographer Ansel Adams used dodging and burning techniques to selectively expose his prints and create amazing rich detail in images, like the one illustrated above. When digital photography was finally viable enough to address this problem, the first HDR file types were created. However, the HDR file types used by most photographers today do not use this method (i.e. capturing multiple exposures into single file, beyond the range of ordinary imaging). Most so-called “HDR” images are actually multiple exposures combined into an HDR image, and then Tone mapped into a single standard range image. It is this technique that most photographers call HDR Imaging, or even HDR photography. The reason it is more significant is because modern photo editing tools and digital cameras make it easier than ever for home and hobby photographers to create these images themselves. 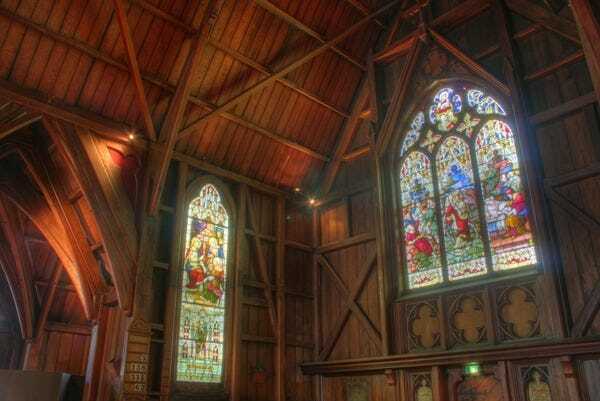 Combining multiple exposures with software like Photomatrix or Photoshop’s HDR Pro, and tone mapping the image. Combining multiple exposures using combinations of blending methods in multiple layers in powerful image editors like GIMP. Manually merging high detail areas of images with layer masks, erasers, and dodging and burning in programs like Photoshop or Paint.NET. Still hungry to learn more about HDR Imaging? Stay tuned to Photography with How-To Geek, where we’ll cover how to expose for HDR and create rich HDR images from those exposures in future articles. 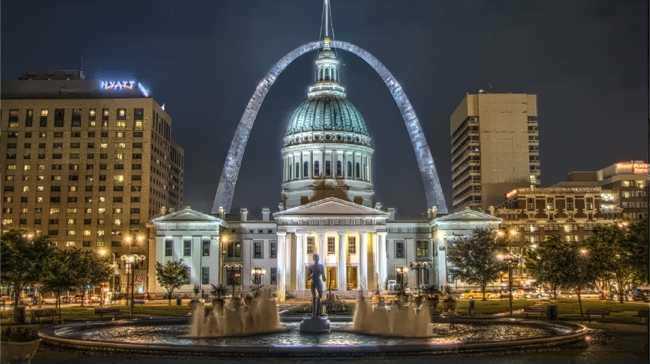 Image Credits: St Louis Arch Tone Mapped by Kevin McCoy and Darxus, available under Creative Commons. HDRI and St Pauls by Dean S. Pemberton, available under Creative Commons. Exposure by Nevit Dilmen, available under Creative Commons. Grand Canyon HDR Imaging by Diliff, available under Creative Commons. Ansel Adams image in public domain. Dundus Square by Marmoulak, available under Creative Commons.